Say you are reasonably acquainted with Fus’ha or classical Arabic (written Arabic). 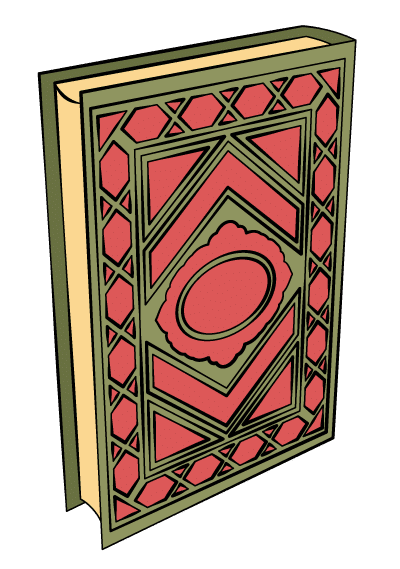 If you wanted some more context or explanation behind a verse in the Quran, you can just open up Tafsir al-Tabari. Whats amazing about that is Tafsir al-Tabari is an exegesis of the Quran written in the year 883! The fact that people who know modern formal Arabic can understand it 1000 years later is amazing. 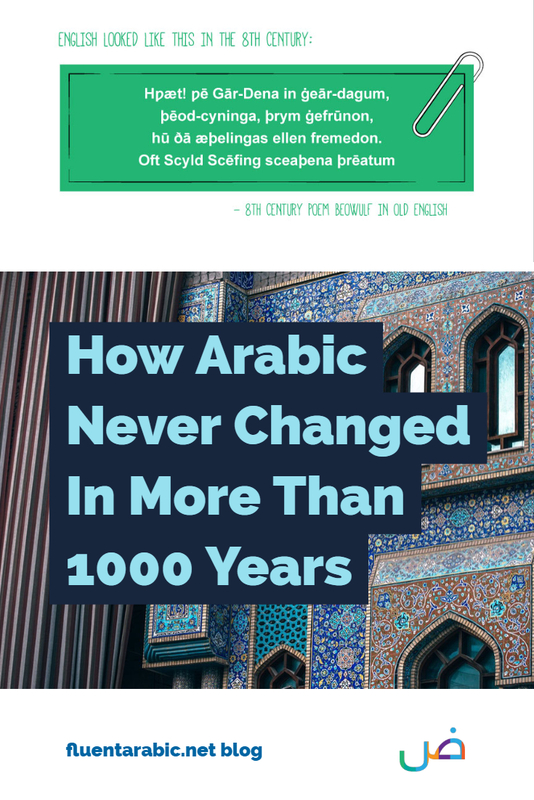 It means that Arabic has remained practically unchanged. The above example is actually old english. If you focus on the words long enough you can make out slight connections. The reason it looks like a completely different language is because the sounds and grammar went through major changes. 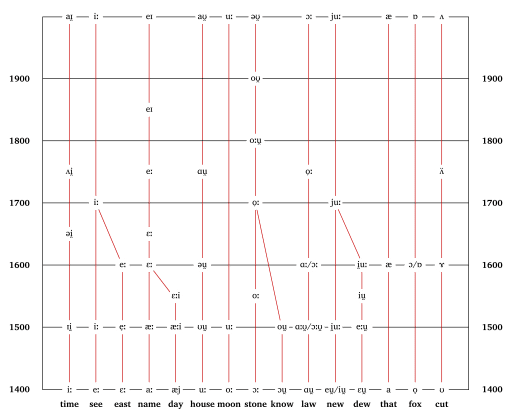 In what is known as the Great Vowel Shift, all Middle English long vowels changed their pronunciation. Some consonants as well. ‘Meat’ was pronounced more like ‘Mat’. ‘Bite’ sounded like ‘Beat’ and ‘Out’ was ‘oot’. If you want to see differences in grammar you just need to look as far back as Shakespeare (17th century). This is one of hundreds of examples. But this is not just English. This is the case with most languages. They change, evolve and many even die. So what is different about Arabic? The short answer: The Quran. When the Quran was revealed to Muhammad ﷺ there were different dialects spoken. The Quran was even revealed in different dialects. But only the dialect of the Quraish was preserved. From here, the Arabic of the Quran spread out to the world – to Syria, Iraq, Yemen, Egypt, Africa and even as far as Spain. Arabic was the official language of new Islamic empire. But with the large number of people now learning it, they started making mistakes in pronouncing the Quran correctly. The Arabs were worried about preserving the purity of the Quran, and introduced the dot and vowel marks to the script to help people read correctly. “The Califate in 750.” From The Historical Atlas by William R. Shepherd, 1926. But even today, non-arab muslims work extensively on their pronunciation of the Arabic alphabet to perfect their Quranic recitation. By now, the Islamic Empire was in its Golden Age. There was a revolution of knowledge, science and art. Arabic was the language of the learned. 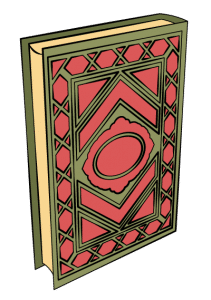 Books were translated into Arabic from different languages. For instance, the caliph Al-Mansur ordered for literature to be translated to Arabic. 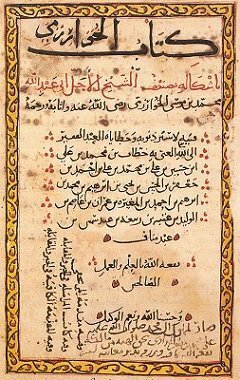 Under al-Mansur and by his orders, translations were made from Greek, Syriac, and Persian, the Syriac and Persian books being themselves translations from Greek or Sanskrit(1). It’s also worth noting here that, were it not for Arabic many classical and important works would have been lost. 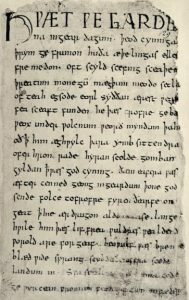 For example, we won’t have most of the works of Aristotle today if they were not recovered from the Arabic translations. 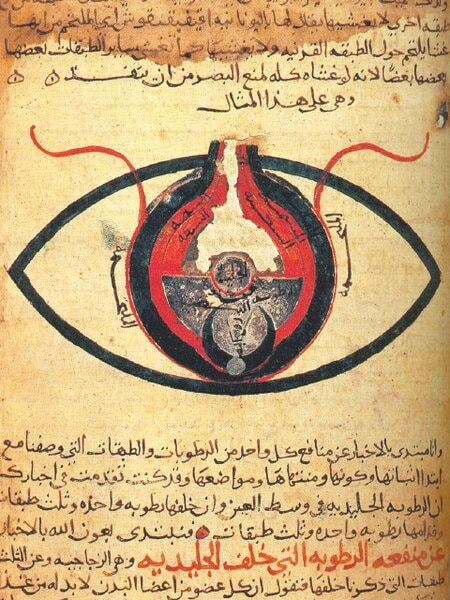 The Eye According to Hunayn ibn Ishaq C 1200 via Wikimedia Commons. 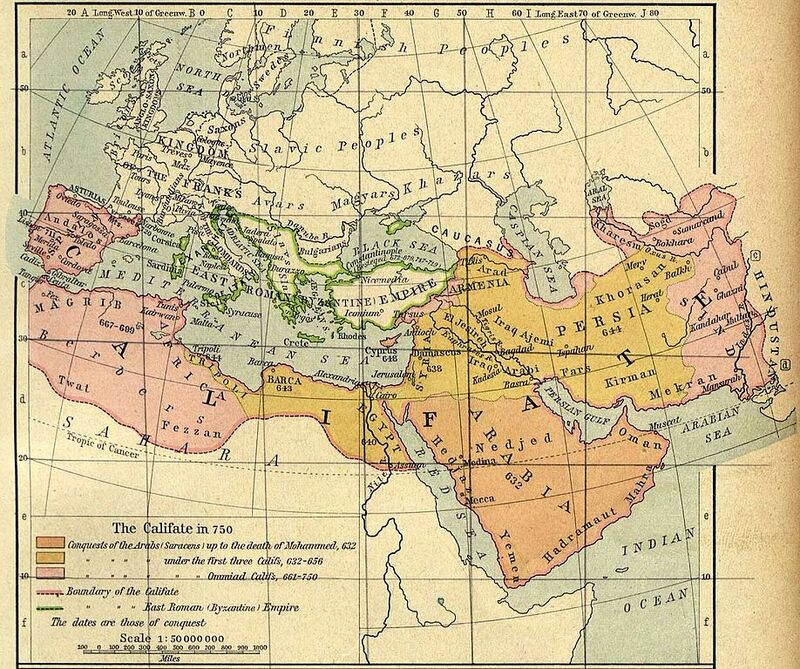 The spoken dialects were different by now between Syria, Iraq and Madinah and so on. But the high esteem in which muslims held the Quran and Hadith (sayings of Muhammad) meant that the pure version of Arabic kept being taught and used. After the 14th century, the Islamic empire was weakened. It was now split into different smaller kingdoms. Large parts of it were now conquered by foreign rulers. Ibn Khaldun says about this, “When non-Arabs, such as the Daylam and, after them, the Saljuqs in the East and the Zanitah and Berbers in the West, became the rulers and obtained royal authority and control over the whole Muslim realm, the Arabic language suffered corruption. It would almost have disappeared, if the concern of the Muslims with the Qur’an and the Sunnah, which preserve Islam, had not (also) preserved the Arabic language” (2). Finally came the fall of Granada, the last foothold of the Arab Islamic Empire in Spain. Known as Al-Andalus in the Islamic world. After this the official language of the Ottoman empire (1299–1922) was Turkish. But Arabic has amazingly survived all these challenges, because it always had a fortress to return to in the times of turmoil. Classical Arabic was always taught in the circles of Quranic learning, the Masjids, schools and universities. It was used in the discussions of Fiqh, Tafsir and Hadith. The pronunciation was always taught exactly as it had been at the time of the Prophet ﷺ. 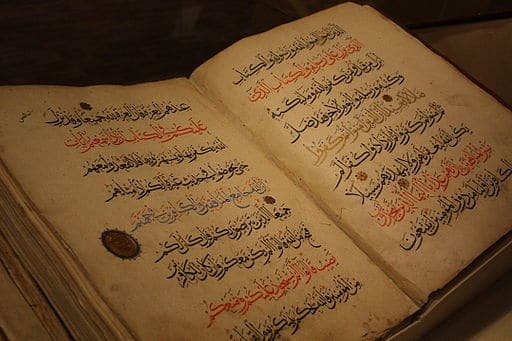 The Quran cannot be really protected and preserved unless the Arabic language in which it was revealed was preserved. Otherwise its meaning cannot be fully grasped by the reader. It would have been inaccessible. And we see the fulfilment of this promise when we look back at history. 2. Ibn Khaldun, Al-Muqaddimah,(Translated by Franz Rosenthal), P 477. 3. Same source. Page 477-478.